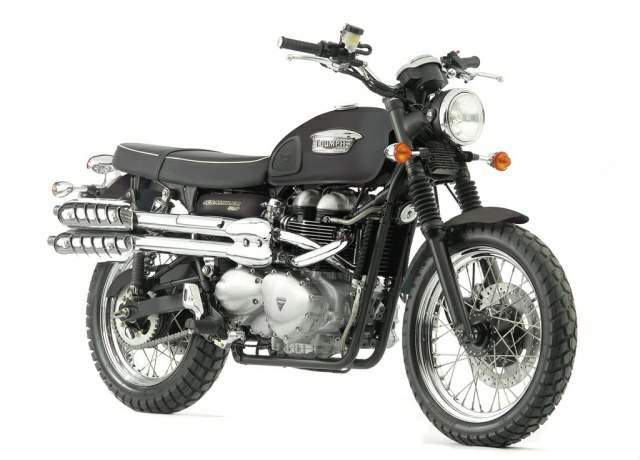 Triumph offed the Bonneville Scrambler in matt black. Very few motorcycles can claim to be unique but the Scrambler, thanks to its authentic styling, is most certainly one of them. 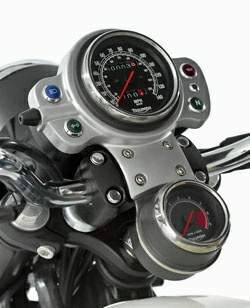 The flat seat, small headlight and single, round-faced speedometer mark its difference, likewise the pair of high-level exhaust pipes, each wearing an evocative heat shield.